Ignatian Spirituality — The Contemplative Life. 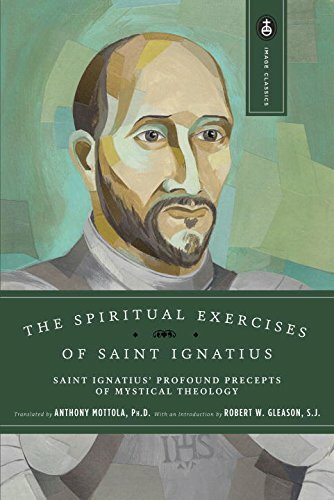 Ignatian spirituality denotes a group of practices that were recommended by St. Ignatius of Loyola, a 16th Century Spanish theologian and founder of the Jesuit order of Catholicism. Many Jesuit practices can be found in his Spiritual Exercises. Two of the more distinct practices in Ignatian spirituality are Imaginative Prayer and The Examen. Probably the most defining feature of Ignatian spirituality is use of the imagination. Ignatius consistently recommends the use of the imagination during prayer, especially the visualization of scenes from the Christian Scriptures. During this practice, one reads a passage of Scripture and begins by imagining themselves in the scene. After planting oneself in the passage, attention is focused on each of the senses. What does the scene look like? What does it sound like? What does is smell and taste like? How does it feel? Through this method one hopes to experience God (usually in the form of Jesus, the central character of the Gospels) by placing themselves in Scripture. This can also lead to more personal revelations as the practitioner may visualize Jesus speaking to them or their situation. Like Lectio Divina, Imaginative Prayer in some ways rests on seeing Scripture as "sacred" – as a unique window though which one can experience God. Because of this, Imaginative Prayer is often used by those firmly planted within a specific tradition which sees their Scriptures as inspired (for instance a Sufi would use the Qur'an) although this is not strictly necessary. Another defining mark of St. Ignatius' spiritual exercises is The Examen. In The Examen, one prayerfully reviews their day in the presence of God, examining their conscience and allowing God to comfort, encourage, and sometimes lovingly reprimand their spirit. By reviewing the day and consciously looking at one's own actions, the hope is to make more God-honoring decisions the next time the situation is presented. In a way, this technique can foster mindfulness, or conscious, deliberate presence, as one encounters similar events in the future. Week 1: Meditation on Sin – The first week of an Ignatian retreat begins by meditation upon personal and communal sin, and even includes a meditation on hell. The first week is designed to set a solemn and serious mood for the retreat. Week 2: Meditation on Christ – In the second week one mediates upon Jesus using Gospel stories such as his Temptation in the Desert, the Sermon on the Mount, and the Calming of the Sea. Week 3: Meditation on the Passion of Christ – The third week is marked by meditations on the events leading to, and including, the Crucifixion of Jesus. Week 4: Meditation on the Love of God – In the final week of the Ignatian retreat, one meditates on Divine Love and experiences several other methods of prayer designed to facilitate the experience of God.